The puppet’s coat is coming along nicely. Progress is stalled while I wait for the 1/16th inch ribbon I ordered on February 21st. I hope it comes soon. 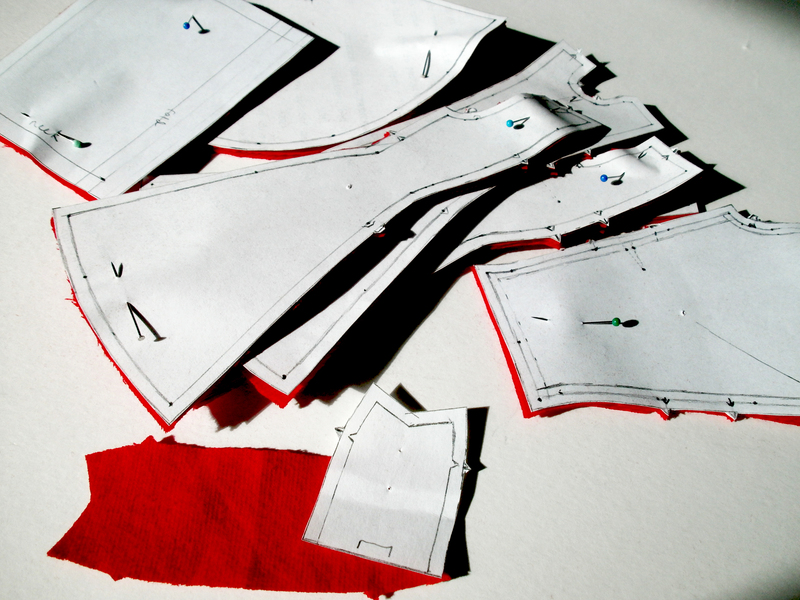 Here are the pattern pieces all cut out. I calculated and marked the pattern for the placement of the detailed decorative trim. Then I marked the coat with a white chalk pencil. 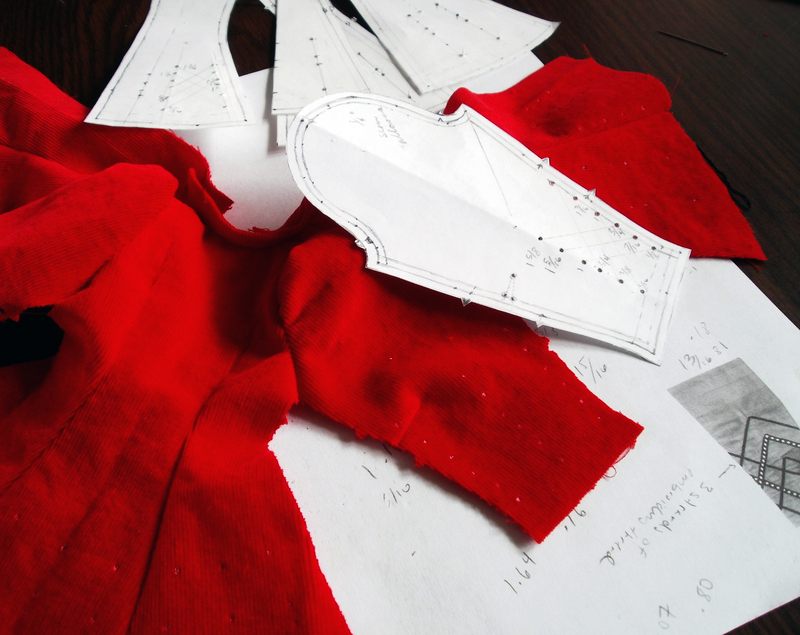 On the paper to the right, you can see a 18.75% reduction of the full sized coat sleeve trim section. This is as far as I can go until I get the 1/16th inch ribbon. The black trim on the sleeve is made with embroidery thread that has been divided in half and stitched in place. I need to finish the trim on the sleeve before sewing the side seam. 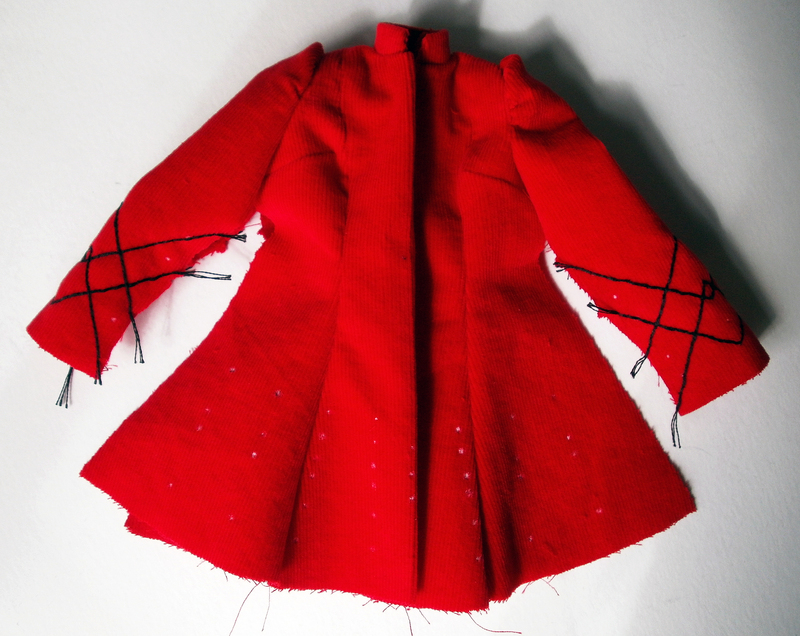 The side seam must be completed before I can start the trim on the coat. Your attention to detail is inspiring!!! What a gorgeous tailored coat. I’m in awe of alll the little panels! I hope your ribbon turns up soon. It’s so frustrating when everything has to stop for one essential piece. Thanks! I finally got an apologetic response to my second email to the company. They said my order had been “overlooked” and will now be “shipped without delay.” Finally.